This week is turning out to be a very busy one at Mr Green. Not only are they celebrating the International Women’s Day today (March 8), but they’re playing off massive amounts of Extra Spins on Spiñata Grande and then there is the £250,000 prize draw of MegaJackpots Isle O’Plenty. We’re going to tell you right now how to join each and every single promotion, so you won’t have to miss out. With spring just around the corner, Mr Green casino has sprung into action and are running a handful of fun promotions this week. Good amounts of Extra Spins can be won and played off on Koi Princess and Spiñata Grande, plus MegaJackpots Isle O’Plenty will see a massive prize draw of £250,000. Get right in on the action! First, today (March 8) is the International Women's Day. If you're a guy and haven't gotten a bunch of flowers for that special lady in your life, then make sure to stop by the petrol station on your way home. Yet, if you have already showered her with love and attention, then you can head straight for the sofa, deposit at Mr Green casino and get yourself some Extra Spins. That's right, not only women deserve special treatment today! The rules are very simple – deposit and get awarded with a certain amount of Extra Spins. 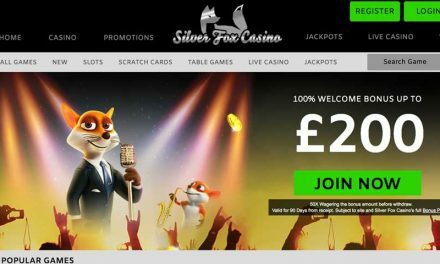 If you choose to deposit and wager £20 today, you'll get 20 Bonus Spins; deposit and play through £50 to get 55 Bonus Spins; deposit and wager £100 or more to get 125 Bonus Spins. Then, log in tomorrow to see your Extra Spins credited to your account. You'll be able to play them through on the feature packed NetEnt game Koi Princess, but make sure to use them up within a week or they will expire. And if the Koi Princess Extra Spins aren't enough, then Mr Green have got another promotion ready for you. From Thursday (March 10) till next Monday (March 14), you could win 250 Extra Spins by playing the Fiesta Roulette. Yup, Mr Green are at it again – adapting slots to Roulette and giving out Extra Spins. And the rules are very simple: every 20 rounds that you play on the Fiesta Roulette table, you'll get 50 Extra Spins on the actual Spiñata Grande slot. Active 1:1 bets are exempt from this promotion, i.e. bets on Black/Red, Odd/Even and High/Low cannot participate – fair enough. So get playing roulette as you have five days to rake in Extra Spins over this weekend! Last but certainly not least, the MegaJackpots £250,000 Prize Draw promotion will launch this week at Mr Green. March 11 marks the day when you can start collecting your tickets to enter this incredible prize draw and you've got until March 28 to do so. Although IGT's MegaJackpots Isle O'Plenty slot has already launched and is great, you can play any (or all) MegaJackpots games to participate. This means you can play MegaJackpots Siberian Storm, MegaJackpots Cleopatra or MegaJackpots Isle O'Plenty at Mr Green. Every £10 that you wager will get you closer to the massive jackpot and with 10,000 prizes available, you could well be the lucky one. After all, March is the month of the Luck of the Irish! NextLeo Vegas Mobile Casino Starburst Festival – Extra Spins & £100K Draw!